Spider-Man had a big year in 2018. The animated Spider-Man: Into the Spider-Verse was a huge hit, Spidey offshoot Venom broke October sales records even though it was panned by critics, and Peter Parker's dusty death was one of the most lamented moments of Avengers: Infinity War. Outside the theater, the PS4 exclusive video game Spider-Man decimated competition and proved the fastest-selling Marvel game of all time. Even if you don't count the comics, the video games, or the animated shows, the last two decades have brought us a mixed bag of Spider Guys. 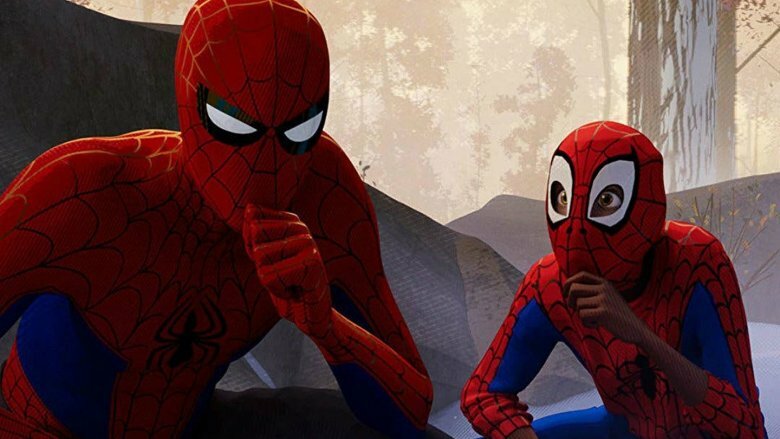 We've had three different actors — Tobey Maguire, Andrew Garfield, and Tom Holland — portraying Spider-Man in live-action films and Shameik Moore voicing Miles Morales in Spider-Verse. That's four different versions of Spider-Man in less than 20 years (not counting all of Spider-Verse's alternates). Spider-Man: Far from Home is on its way, and it's likely a sequel to Spider-Man: Into the Spider-Verse won't be too far behind. Some of it's been spectacular, some of it's been meh, and some of it's been awful. For a tour through the mix of all the Spidey features, the spinoffs, and even a parody, here's every Spider-Man movie ranked worst to best. Spider-Man 3 starred Thomas Haden Church as Flint Marko/Sandman, Topher Grace as Eddie Brock/Venom, and James Franco as Harry Osborn/New Goblin (who wins the award for laziest supervillain name ever). Franco appeared in the first two films as Peter Parker's friend, but the others were new and their introductions were horribly rushed. One of the silliest plot points in the film is the way the Venom symbiote attaches itself to Parker — it falls out of space and randomly hits his scooter. Obviously, the comic book version — which would involve a massive superhero crossover — wouldn't be a viable option, but considering Harry Osborn had just taken over his father's science-based corporation, it seems like there were plenty of more believable ways to introduce the insidious oil slick. While the overcrowding of villains was a chief complaint, it was hardly the only one. "Evil" Parker's dance number is so memorably mockable that even Spider-Man: Into the Spider-Verse took potshots at it. But perhaps the worst crime Spider-Man 3 committed was retconning the death of Peter's uncle. Toward the end of the film we learn it was actually Flint Marko — and not the guy Parker let run past him in Spider-Man – who murdered Ben Parker. One of the things that makes Spider-Man stand apart from other heroes is that he actually is partially to blame for the traumatic death he tortures himself over. Pulling out the rug from under that makes him a very different dude. 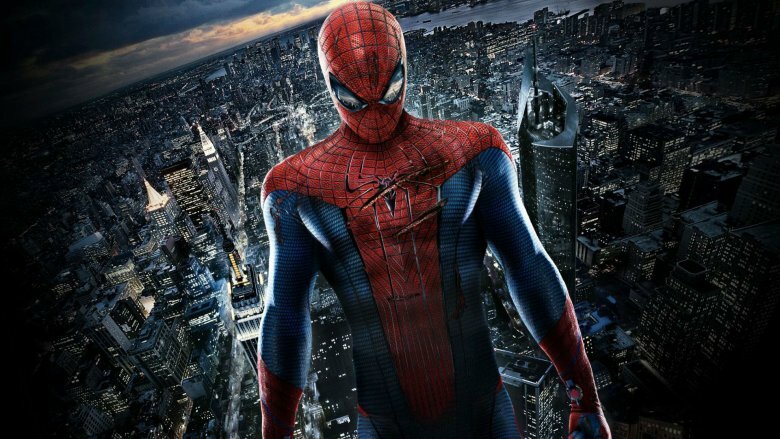 When Christopher Orr reviewed Amazing Spider-Man 2 for The Atlantic, he wrote that the best thing about it was that it only took director Marc Webb "two films to reach the same exhausted, exhausting endpoint that [Sam] Raimi required three to achieve." Which is mean. Accurate. But still mean. But also accurate. Like Spider-Man 3, Webb's second Amazing Spider-Man entry had too many bad guys. There was Jamie Foxx as Electro, Dane DeHaan as Green Goblin, and Paul Giamatti… kind of as the Rhino? He encounters Spider-Man earlier in the film as a gunman, but doesn't show up as the Rhino literally until the last few minutes. Rather than the Hulk-sized baddie from the comics, he's just a dude in a big mech suit, and the movie ends without any kind of resolution to his battle with Spider-Man. 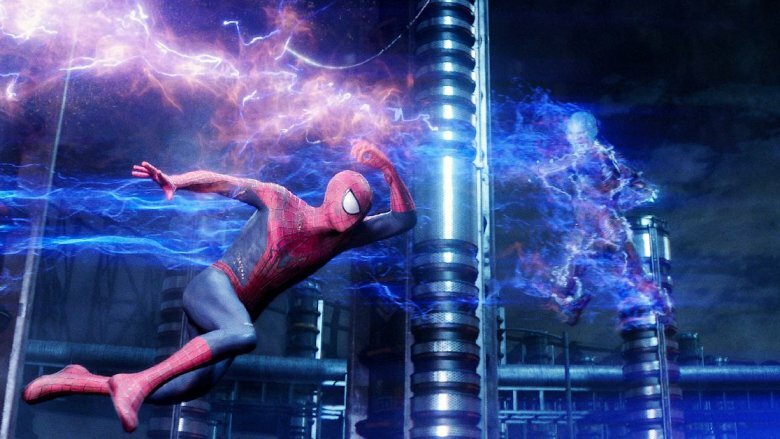 Amazing Spider-Man 2 felt like what it was — a film whose potential was spoiled primarily by the focus on setting up sequels and other franchises. Foxx was great as Electro and if the film focused on the conflict between him and Spider-Man, Garfield might still be wearing the red and blue. Instead, the filmmakers were so focused on planting seeds for future projects, they didn't realize they were stomping all over what was already growing. Arguably, it was for the best. If Amazing Spider-Man 2 hadn't been a failure, Sony probably wouldn't have been as receptive to the idea of partnering with Marvel Studios and letting ol' webhead come home. 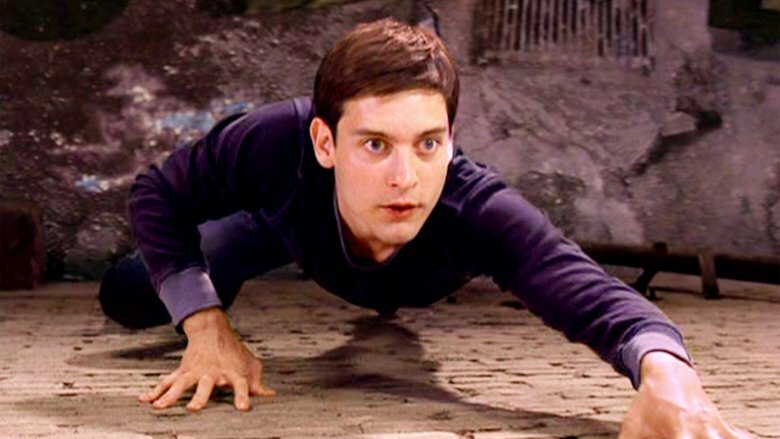 There is at least one Spider-Man adaptation that doesn't feature fit young men like Toby Maguire, Andrew Garfield, or Tom Holland: the Australian-made parody Italian Spiderman. YouTube was blessed with the first trailer for Italian Spiderman in 2007. Viewers were treated to a chubby, trumpet-playing, dancing, smoking, and occasionally flying version of Spider-Man who freaks out over toy snakes. The roar of some kind of wild cat regularly accompanied clips of "action" scenes, which could mean Italian Spiderman chasing the villain in the Wrestler mask, or it could mean the "hero" punching out the woman he just defended from a couple of cat-calling jerks. The trailer appeared to be just a parody of foreign films using American characters without permission, like 1973's 3 Dev Adam (which featured Spider-Man and Captain America) or 1987's Hindi Superman. No one imagined an Italian Spiderman film would actually be made, but in May 2008 the first episode of ten was uploaded to YouTube. All told, Italian Spiderman was just over 45 minutes long and ended on a cliffhanger. Every second is just as wonderfully ridiculous as the trailer. 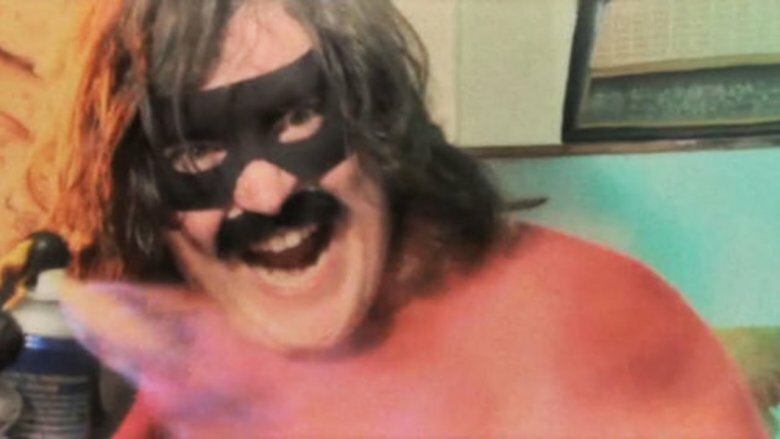 Italian Spiderman director Dario Russo went on to make the Australian action comedy Danger 5, which starred and was co-created by David Ashby, the same mustachioed maniac roaring through Italian Spiderman as the hero. Italian Spiderman would be a contender for the top spot on this list if it were an official Spider-Man vehicle. It isn't dead last because it's not Spider-Man 3. Though Venom's origin was divorced from his comic book beginnings for 2018's Venom, the symbiote is still firmly in Peter Parker's world — so much so that Venom director Ruben Fleischer called a Venom/Spidey confrontation "inevitable." Even with the white version of the Spidey logo missing from Venom's chest, it's difficult to look at those eyes without seeing more maniacal versions of the eyes on Spider-Man's mask. 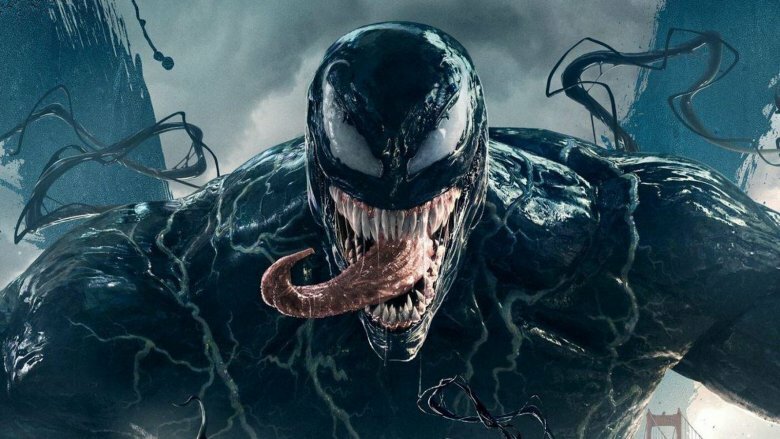 Venom is not the best movie ever made, and the critics noticed. In spite of the marketing arguing that "the world doesn't need another superhero," one of the more common criticisms of Venom was a formulaic script. Sure, Venom ate people and sure, once Eddie Brock started talking back to Venom he had the tendency to seem less Superman and more Son of Sam, but regardless, Venom felt as much like a standard superhero flick as anything out there. But audiences didn't seem to care. Old and new fans filled seats and broke ticket sales records. At the end of the day, formula-driven or not, Venom accomplished its goals. Tom Hardy and his CGI half created a genuine, interesting dynamic, and while the CGI wasn't always perfect — it's surprising so much advertising included the shot of Venom's tongue licking a criminal's face, considering it was one of the least convincing CGI shots in the film — some of the effects shots were incredible and it was a fun flick. You couldn't say Andrew Garfield's first shot in Spidey's red-and-blue getup received universal praise, but it was certainly better received than its sequel. Amazing Spider-Man showed up five years after Tobey Maguire hung up the tights, and while it was good, it never quite managed to escape the strangeness of a franchise rebooted while its predecessor was still relatively fresh in the culture's collective mind. 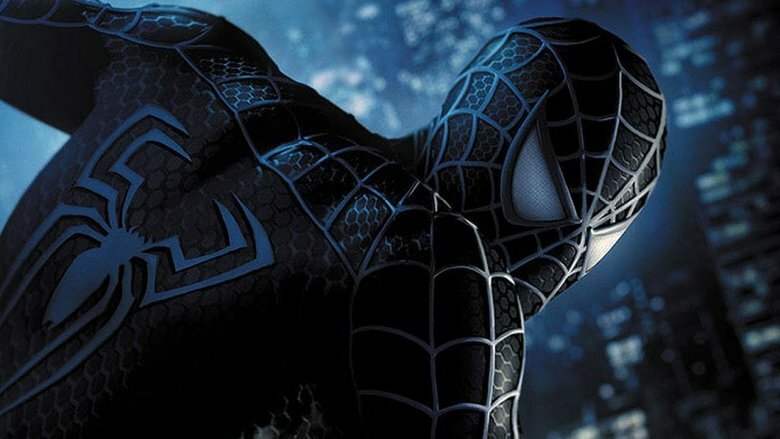 Amazing Spider-Man had to walk a tightrope of being different enough from the Tobey Maguire films that it distinguished itself, but not so different that it became unrecognizable. There were definitely some benefits for comics purists. Amazing Spider-Man jettisoned the hero's organic webshooters and made it so Parker himself invented mechanical one for his crimefighting. Rather than tacking on a halfhearted Gwen Stacy as Sam Raimi did in Spider-Man 3, Emma Watson starred as the doomed love interest from the get-go. You can argue back and forth about whether Garfield or Maguire was better as ol' webhead, but there was at least one way in which Garfield's portrayal simply was superior, and there's no argument — he was funny. Now, Raimi's Spider-Man films had lots of humor, but Maguire's Peter Parker was never funny himself. At least not intentionally. One of Spidey's defining characteristics is his wisecracking in the face of danger. That was something Garfield delivered on, and it went a long way toward making Amazing Spider-Man feel much more like an echo of the comics. With the glut of superhero movies that we see today, it's easy to forget how important the first Spider-Man was to everything that followed. X-Men had been released two years before, and Blade two years before that. But Blade was a grittier, more violent superhero and the X-Men had a cool rebel vibe unique to the franchise. And of course they were all dressed in black leather. Spider-Man was the first 21st century superhero movie success to feature a more traditional crimefighting hero in bright red and blue. 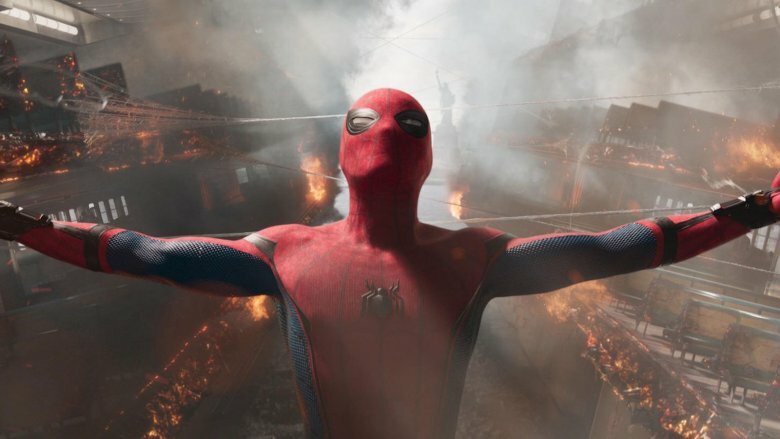 Peter Parker's coming-of-age story proved that the less edgy superheroes like Iron Man, Thor, and Captain America could thrive on the big screen under the right direction. It was by no means perfect, but it created the framework every Spider-Man movie that followed — including the ones with Tom Holland and Andrew Garfield — would need to reference. Even its mistakes served to improve all the superhero movies that came after. Perhaps the biggest fault of Spider-Man is that the filmmakers went out of their way to cast the brilliant Willem Dafoe and then stuck him in a green plastic helmet that made him look like a Power Rangers villain. Every time you notice how relatively dynamic Ryan Reynolds' mask is in Deadpool or its sequel? Those are lessons learned from Spider-Man. Don't doubt it for a second. Tom Holland is Spider-Man. With his fearlessness and confidence in his heroic abilities contrasted with his awkward insecurity when it comes to facing any other aspect of his life, his desperate need to please Tony Stark, and that all-important snarky bravado, neither of the other two 21st century Spider-Man actors so embody exactly what we think of when we think of Peter Parker. By dialing down Parker's age, we get a much better look at what it's like for Peter to be a superhero and a teenager. And unlike the Maguire Parker, who was almost completely friendless, Holland has his own small circle of outcasts — but the fact that he has friends highlights exactly how alone he is when he puts on the suit. The same can be said of Iron Man's involvement in the story. Knowing that Tom Holland's Spidey exists in the same world as Thor and Captain America makes it feel that much more precarious for the young hero when he's the only one trying to take down the Vulture, even though it's all of those other heroes' stuff the guy's trying to steal. The casting of Michael Keaton as the Vulture adds a nice bit of brilliance. Keaton plays villains well, and more directors should cast him as bad guys. Not to mention that Keaton's involvement with Birdman — and that film's director's less-than-generous views on superhero films — makes it that much more delicious that Marvel Studios cast Keaton as another bird man. 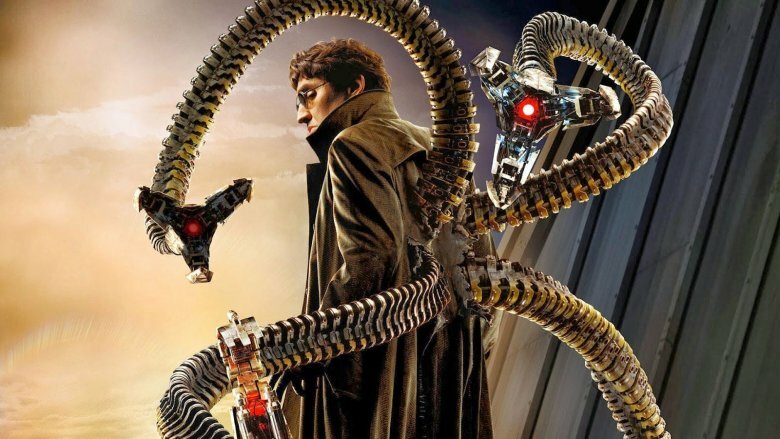 Before Tom Hiddleston won audience's hearts as Loki, few movie supervillains were simultaneously as ruthless, brutal, and sympathetic as Alfred Molina playing Otto Octavius, a.k.a Doctor Octopus. Visually, he managed to be both more human than Willem Dafoe's Green Goblin and more menacing. While it may look a little choppy compared to today's effects, in 2004 the extended battle between Dock Ock and Spidey on a moving train was intense and amazing. As a middle chapter, Spider-Man 2 hit all the right notes. The conflict between the life Peter wants and the one his life as a hero demands, the revelations Harry Osborne comes to about his best friend and his father, and the setup for the next (disappointing) chapter were executed perfectly. 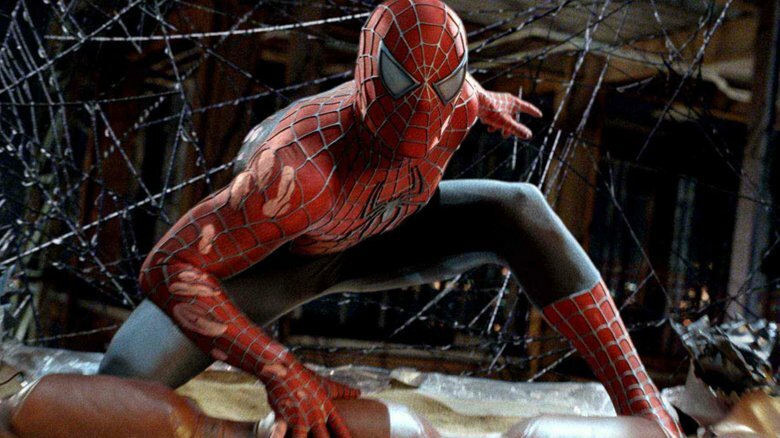 Since visual effects are so important to superhero films, this might not be so true today, but in 2004 Spider-Man 2 felt like a movie made just to show everyone else exactly what a superhero movie should be. Its biggest flaw may be that the last half hour or so can sometimes feel like nothing but an endless series of scenes showing Spider-Man revealing his secret identity to different people, but the overall quality doesn't suffer too much for it. There may be a better Spider-Man movie than Spider-Man: Into the Spider-Verse. But if so, it was released in another universe. There are a lot of differences between Into the Spider-Verse and the the 2014 comic book event it was loosely based upon. One thing it had in common was the cast of parallel reality Spider-heroes (though the comic book version had a ton more), and another was the delight it took in the medium of comics and its long history. Not only did it feature a teenage hero of color alongside an aging Peter Parker, but there was a cartoon pig Spider-Ham, the anime/manga inspired SP//dr, Spider-Gwen, and of course Nicolas Cage: Spider-Man Noir. Unburdened from live action and from the continuity restraints of the Marvel Cinematic Universe, Into the Spider-Verse is action-packed, hilarious, has a tangible emotional core, and is kid-friendly while still complex enough for adults to appreciate and enjoy. It introduced diversity to a franchise without seeming like it was really trying to do that — it feels as natural as Spidey swinging from one building to the next. And if you didn't tear up a little at Stan Lee's cameo or laugh your head off at the post-credits scene, thaw your frozen heart already.